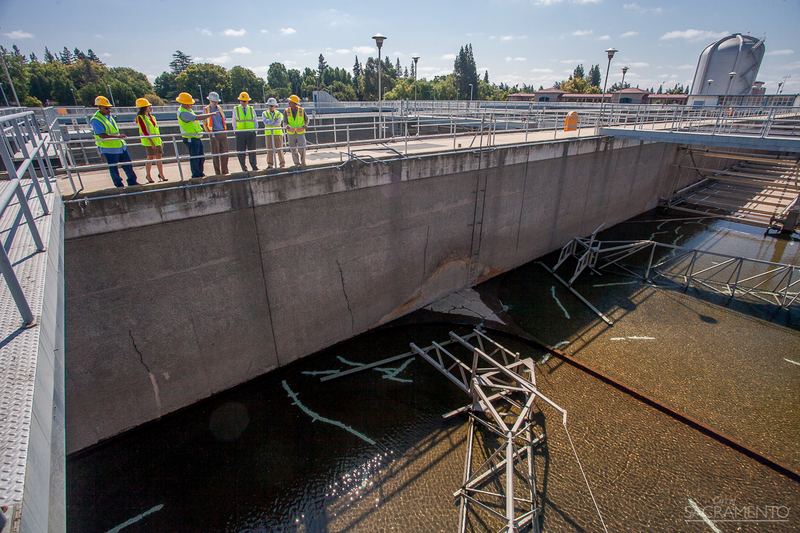 ABOVE: Opening day of demolition for Sacramento’s new Entertainment & Sports Center. Mayor Kevin Johnson being interviewed in a media scrum in the early hours of the morning. I always enjoy finding new textures and subject matter in my work for the City of Sacramento, which is exactly why I’ll be doing posts on my favorite photos from the office. From playing in the dirt or water, to pressers and opening days, I can never complain about being bored on the job. Enjoy. 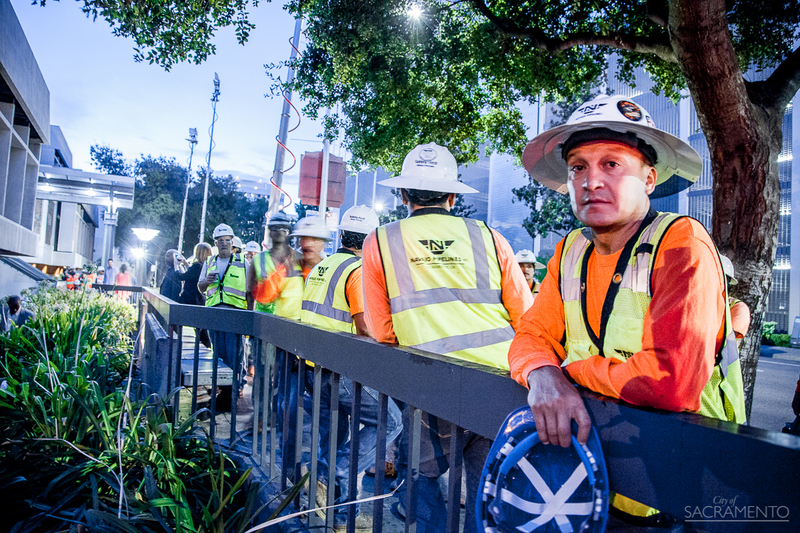 A construction worker look at me with tired eyes on the first day of demolition for the Sacramento ESC. Roughly 5 a.m. on a Thursday morning. I’m working off of about 2 hours of sleep as well. 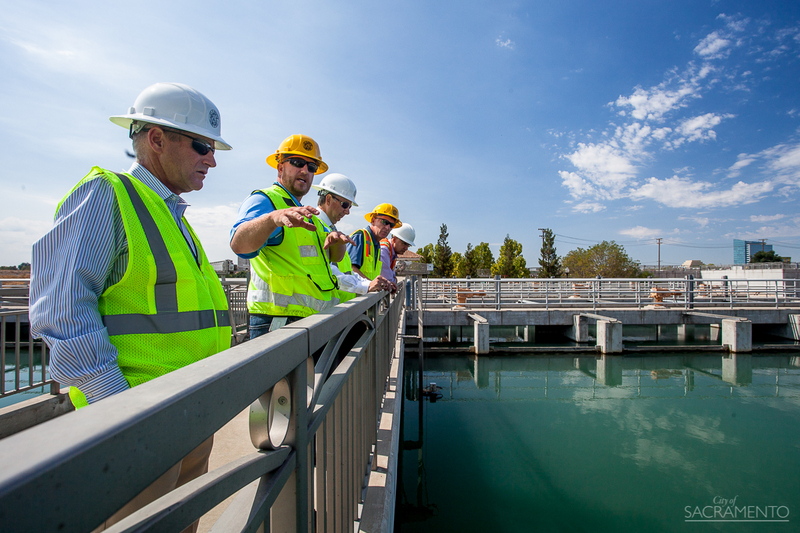 The Department of Utilities Director Dave Brent, and City Manager John Shirey (1st and 3rd in row) take a tour of one of Sacramento’s water treatment facilities. 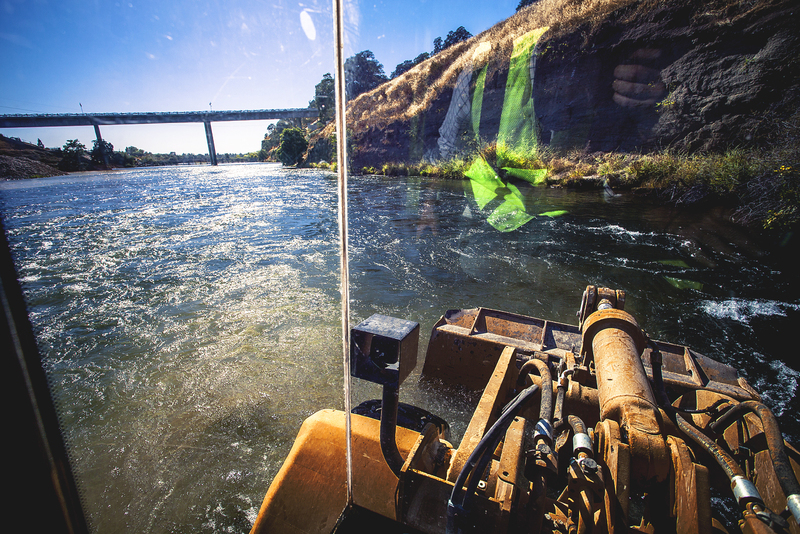 I ride a front-end loader through the American River, where the Sacramento Water Forum is building habitat for salmon and trout to spawn and rear. 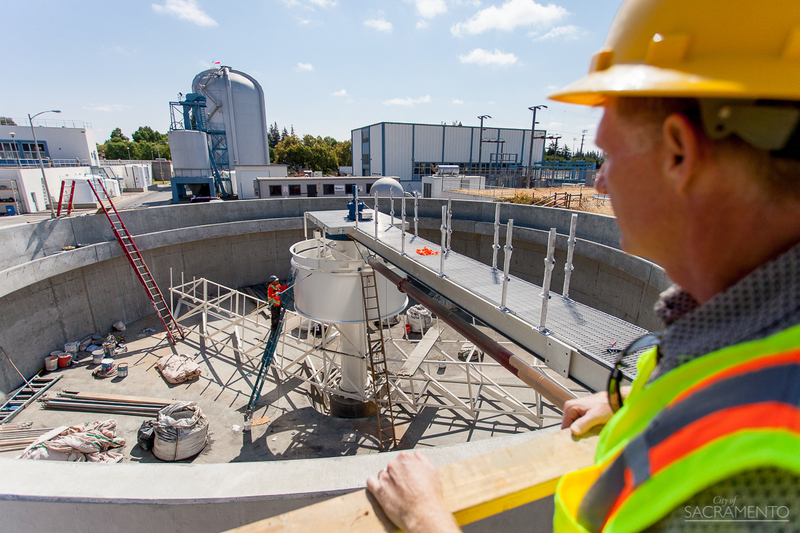 A worker takes in the construction at a water treatment facility in East Sacramento. The construction will increase drinking water process capacity. A group tours the same facility as above. 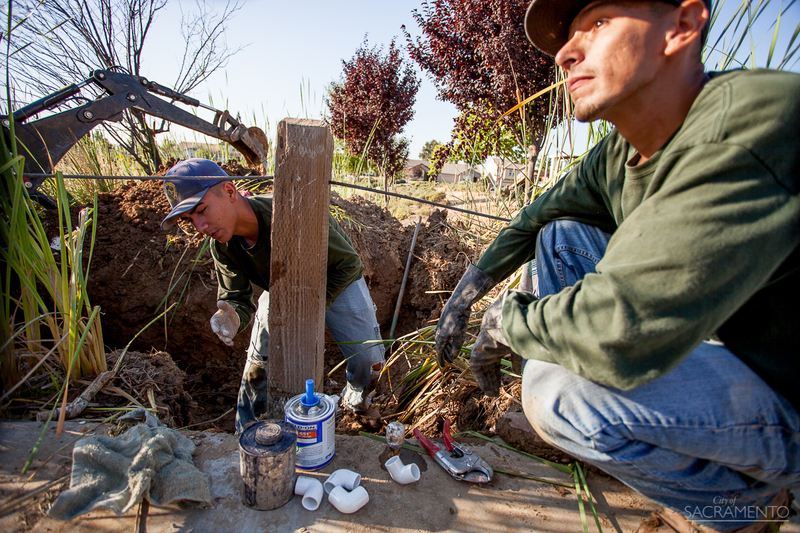 Two Parks & Recreation employees repair broken irrigation pipes at a South Sacramento park in the wee hours of the morning.